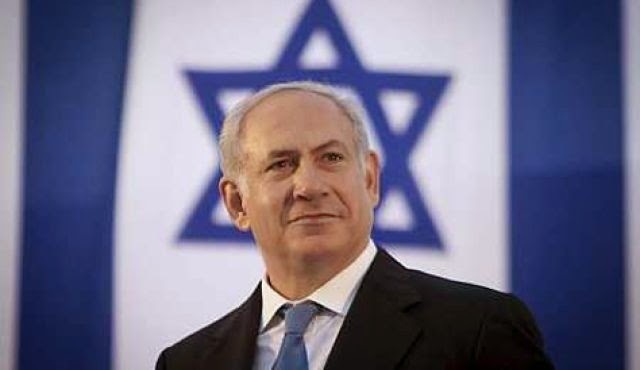 Why does President so oppose Netanyahu's speech? Can John Kerry really be serious that he knows better what makes Israel safe than Israel's own Prime Minister? Susan Rice, President Obama’s National Security Advisor, told TV talk show host Charlie Rose that Israeli Prime Minister Benjamin Netanyahu’s upcoming speech before Congress about Iran is "destructive" to the relationship between the United States and Israel. What is going on? The National Security Advisor is just that – an advisor. It is not a cabinet post, nor a position of authority. It is not an appointment that requires confirmation of Congress. The president picks this individual to serve as a staff advisor on national security affairs. So who is Susan Rice to be hitting the media and defining the nature of relations between the United States and its principle friend and ally in the Middle East – the only free nation in that part of the world? So why is Susan Rice, an unelected, unconfirmed, White House bureaucrat appearing in the media, defining the nature of relations between these two important free world allies? And doing so inaccurately? To suggest, as Ms. Rice and others have, that somehow the prime minister’s acceptance of this invitation to speak from House Speaker John Boehner is partisan, because Boehner is a Republican, is like saying that accepting an invitation from the president for a meeting in the White House is partisan because Barack Obama is a Democrat. We are talking here about the functioning of the American government. Last November the American people spoke and delivered decisive victories to Republicans, giving them control of both houses of Congress. Americans said boldly and clearly that they want a different point of view than that of the White House controlling Congress. Public approval of President Obama’s conducting of foreign affairs has dropped precipitously since the beginning of his presidency. In early 2009, approval of the President’s handling of foreign affairs, according to Gallup, was 59 percent. The latest poll puts it at 36 percent. And, in a new Pew Research Center poll, 48 percent say Republicans do a better job on foreign policy issues compared to 35 percent that prefer Democrats. So the logic and reasonableness of John Boehner’s invitation to the Israeli Prime Minister is clear as a bell. Couple all this with the issue on the table, the agreement being negotiated with Iran regarding its nuclear capability, that is very complicated and very risky – that the Israeli PM thinks is a bad deal - makes it all the sense in the world for the American people to get another well-informed opinion. Secretary of State Kerry just testified before the House Foreign Affairs Committee saying that “Israel is safer today...” because of the deals this administration is cutting with Iran that Netanyahu opposes. Can John Kerry really be serious that he knows better what makes Israel safe than Israel’s own Prime Minister? The President has a bully pulpit waiting for him whenever he wants to use it to explain to the American people why he doesn’t want Benjamin Netanyahu to give this speech. Instead of shooting straight with us, the president is sending out his foot soldiers, his proxies, Democrats in Congress, including the Black Caucus, to do his business for him, with flimsy explanations. What’s up with our President? And what’s up with the press? Why aren’t they asking penetrating questions? All of us recall as students reading about the tragedies in history and asking how they could have happened, why they weren’t prevented. We should hear the Israeli Prime Minister’s concerns. And our president, himself, should tell the American people why he so opposes this very sensible speech.